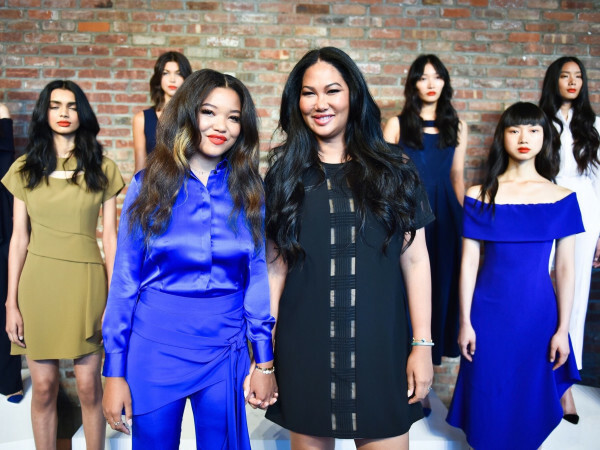 Tadashi Shoji is known for outfitting the Hollywood crowd in glam gowns for big events — Hidden Figures star Octavia Spencer is favorite — so it wasn't too surprising that the front row at his New York Fashion Week runway show included a host of television starlets as well as Olympic gymnastics and Dancing With the Stars champion Laurie Hernandez. 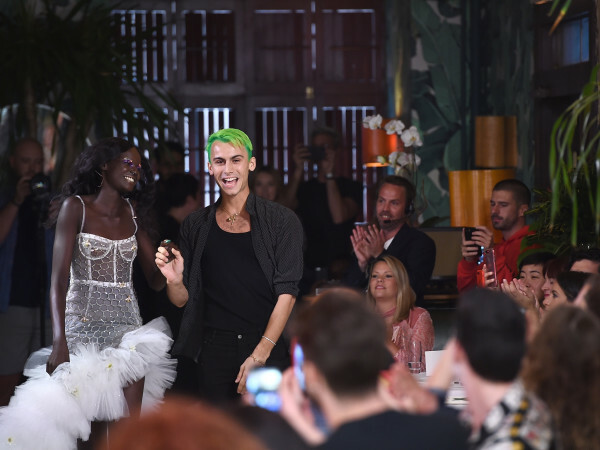 For spring/summer 2018, his collection is much less about the red carpet and much more about casual dressing. "Relax and unwind — it's a Golden State of mind," he explains in his program notes. 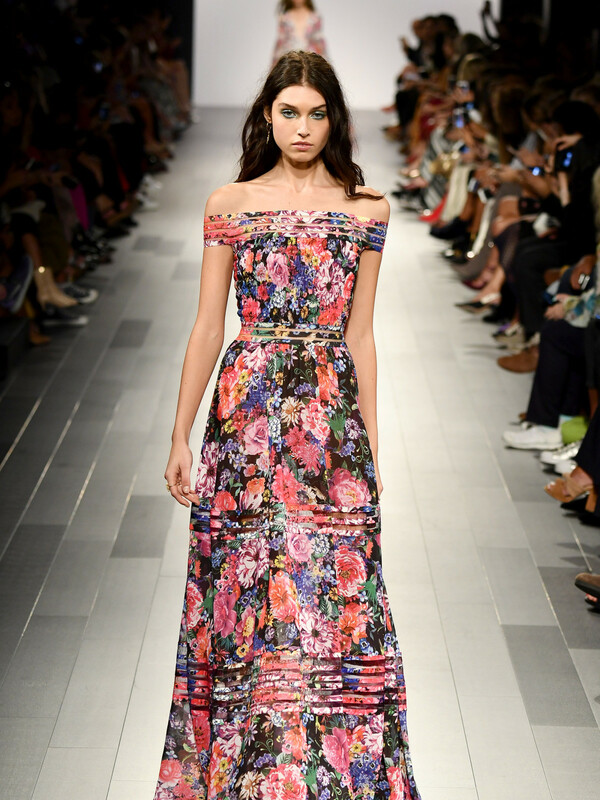 Shoji, a Japanese designer who splits his time between Los Angeles and Shanghai, where much of his line is produced, developed a laid-back southern California theme for the collection, with dresses in bold gemstone colors, flower prints — one is nicknamed a "Malibu floral" — and stripe-print chiffons with cascading ruffle detail, front slits, or exposed midriffs. Several styles are sheer in strategic places in keeping with one of the season's biggest runway trends. 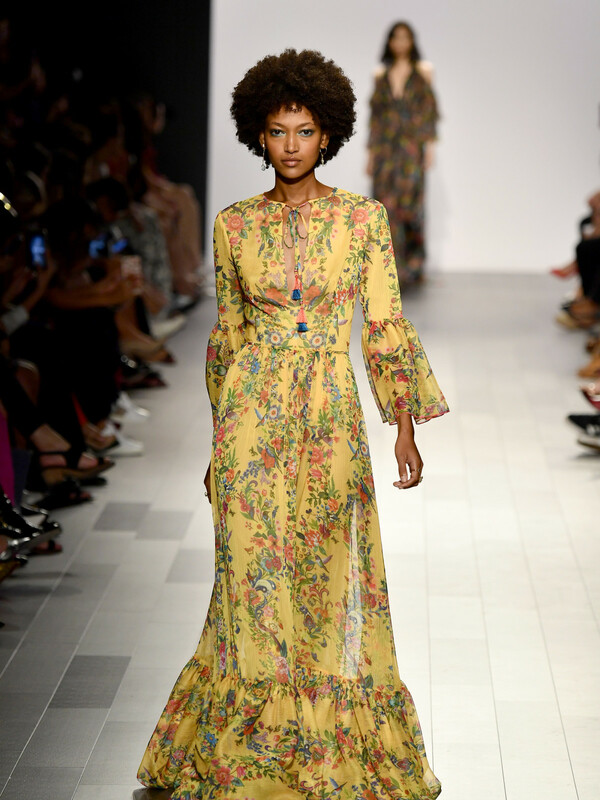 Looks range from embroidered peasant blouses and flowing floor-length florals with a '70s vibe to tight tea-length column silhouettes with tassel trim. 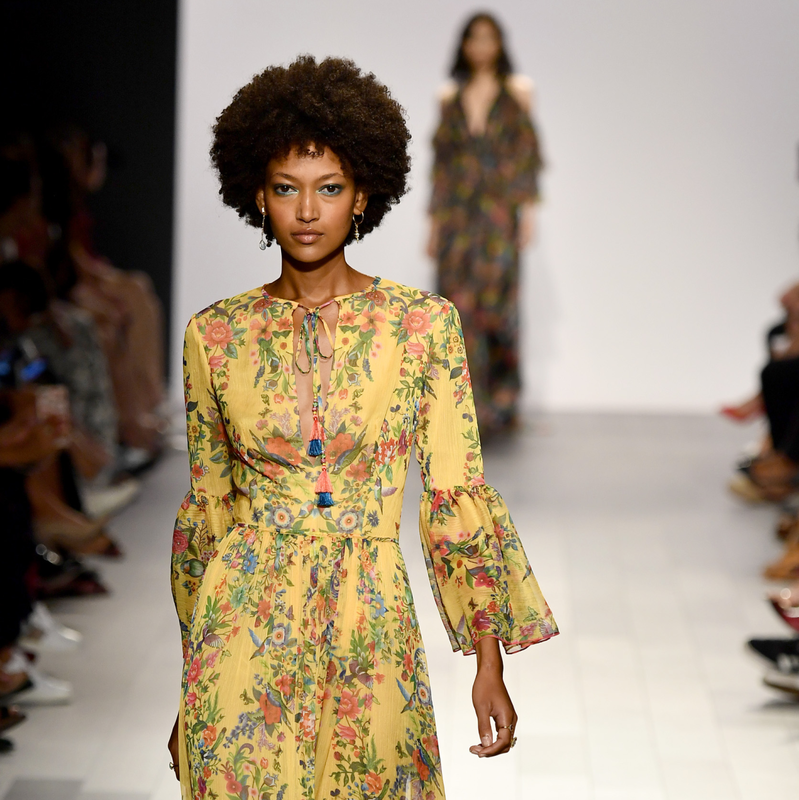 The nice-and-easy attitude of the collection fits in with a more wholesome Miley Cyrus in her song, "Malibu," or a Beach Boys soundtrack, which accompanied the runway show. Shoji doesn't show a lot of evening looks, but several gowns that ended the show sport a celestial theme, with the stars and plants aligned on embroidered tulle for an out-of-this-world look. Shoji plans to open a Houston boutique by the end of the year, located in The Galleria's new wing near Saks Fifth Avenue. It's part of an ambitious expansion plan that includes 18 new boutiques in the Middle East. Already this year, Shoji has added sunglasses, a new fragrance, lingerie and shapewear, and a new bridal collection, and leather handbags — all with available at the new Houston store.